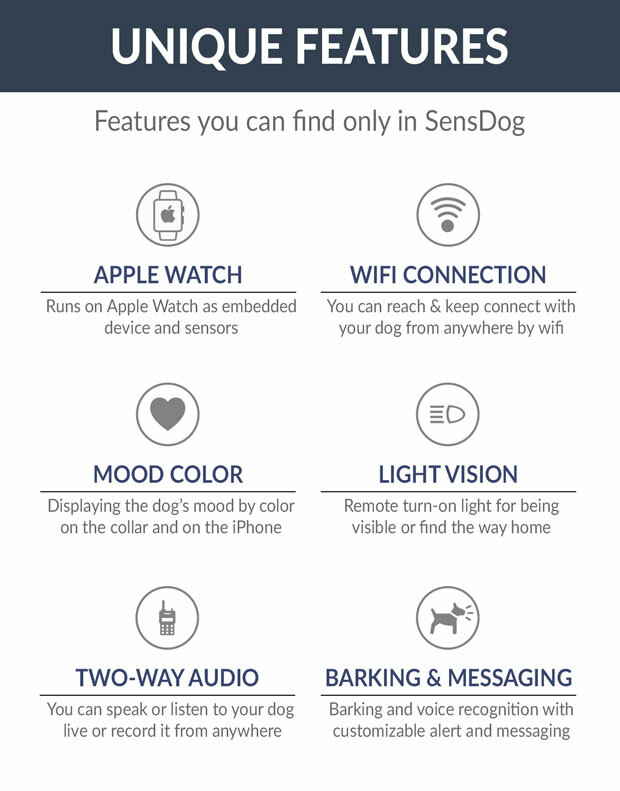 SensDog – contrary to today’s smart collars – works on a behavioral level. It doesn’t just say that your dog is active or passive but it knows exactly what your dog is doing. Based on this advanced behavior sensing technology SensDog as a sensdevice is able to construct a detailed yet holistic picture of your dog’s emotional and physical state throughout days, months, and years. Happiness – it’s about emotional balance. You can immediately know what makes your dog happy/sad, what causes them relief/stress, and how their emotions change over time. It basically tells you how your dog is feeling and why. Wellness – it’s about body and physical wellbeing. Is your dog in good shape, sleeps and rests well, eats and drinks enough? Are there any health or weight issues that you should know in advance? Were there any behavioral changes that you should pay attention to? Friendship -it’s about your dog’s social connections, like who is leader in the pack or in the park. How is your dog feeling about other dogs, who are their friends or loved ones? Parentship – are you a good guardian of your furry friend? How close is your connection, are there any problems in the family? Are you getting closer over time? Did your dog’s feelings change towards you? 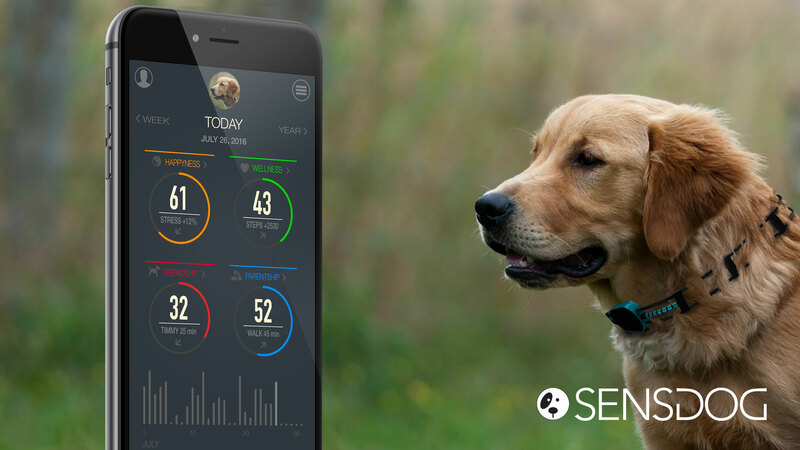 Revolutionary new product SensDog is not just a collar with an Apple Watch as an embedded device, but an innovative software that was developed in collaboration with the world’s leading dog behavior laboratory. Pioneering breakthrough scientific research, SensDog team is developing and introducing a new technology platform in human-dog communication. Hard science Contrary to other products on the market, SensDog is not just an idea based on some scientific presumption. It’s an ongoing program where data is continuously collected and scientific results inform development of the SensDog application on an ongoing basis. Supporting science SensDog is not just a revolutionary new product! In our research program, our ambition is to build a novel business and science management model that facilitates and supports sharing the latest research findings with the public as we believe doing so will change our and our dogs’ world for the better. Building a community Our aim is not merely to gain resources for launching the product but also to build a community whose members could partake in the development and research process with their dogs and share our enthusiasm and passion to improve the lives of our best friends. Anybody, even those who don’t send any money, can join us! Of course, we appreciate any support that helps launch the SensDog project.